Since 1996 The LA Times Book Festival has presented readings by esteemed authors, informational panels, interviews and performances featuring every genre of literature imaginable. This year also features the return of Newstory, which highlights storytelling “beyond the book.” This event category includes virtual reality, podcasts, television, film, and live music on three stages and a Newstory Playground of activations and exhibits. Every year over 150,000 people gather on the campus of USC for the free festival. Some indoor events require reservations with a small ticketing fee, but it’s not to late to grab some sunscreen and comfortable shoes and head on down. 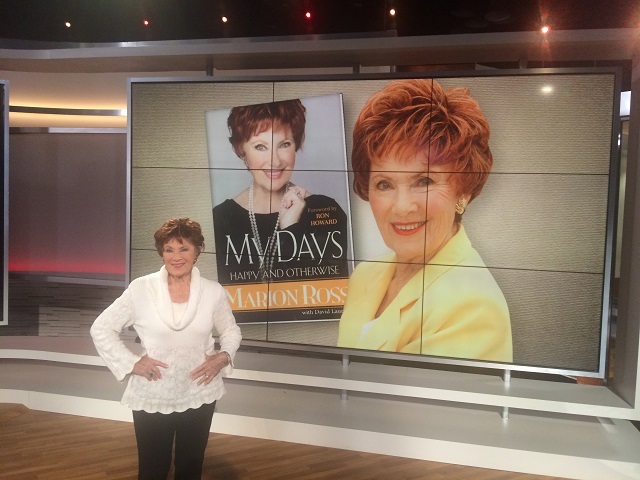 3:30 Marion Ross, Author of “My Days: Happy and Otherwise,” interviewed by Patt Morrison Read our interview with Marion here!